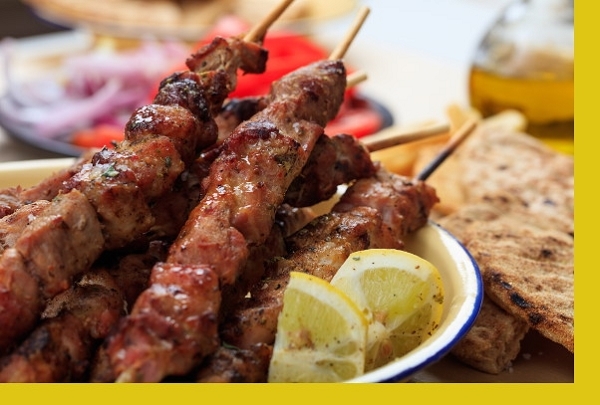 Greek pork kebabs also known as Souvlaki are attested in Greece since antiquity and mentioned in works from Aristotle. 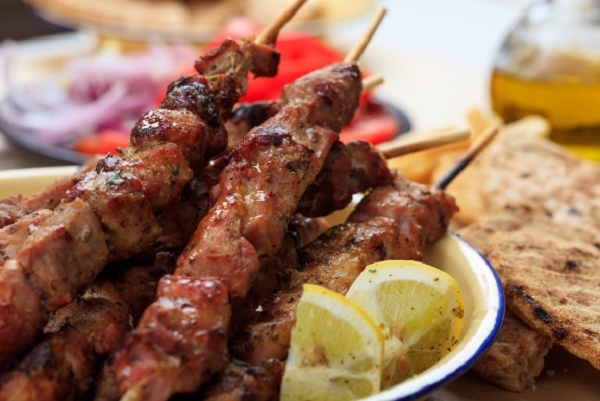 And for good reason ... these pork kebabs made with a traditional mouth watering marinade and served with tzatziki (yogurt) sauce and pita bread are so delicious they'll have you dreaming of Greece! Preheat Grill. Grill pork tenderloin kebabs for about 4 minutes per side for medium or 5 minutes per side for medium well. Heat accompanying bread on the grill for about 1 minute per side or until warm. Do not over heat. Serve with side of cold Tzatziki sauce. By far the best grilled tenderloin I've had in a huge while. grilled chat marks made the taste even better. So easy to prepare, and everyone loved them! The pita bread was moist and soft, and the perfect compliment to the pork. And the tzatziki sauce was amazing! I'm not much of a pork fan, but this was delicious. Easy to prepare, the Tzatziki sauce was wonderful, and the portions were huge. For pork lovers, this is a fantastic meal. Light kebabs very well marinated, served with yogurt sauce and pita bread. As always, very generous portion and very enjoyable meal. Thank you Maria!